As of today, if you only put down between 5 and 9.99% of the purchase price of a home, the mortgage default insurance premium you have to pay is going to cost you 15% more than it did yesterday. More commonly known as CMHC insurance, mortgage default insurance is meant to protect lenders who issue high-ratio mortgages (those with down payments of less than 20%) in the event that you default on your loan. The CMHC insurance premium you have to pay is based on the amount you put down, and is added to your mortgage and paid off over the life of the loan. While the increase looks dramatic, it will only result in an increase of approx. $5 per monthly mortgage payment for the average Canadian homebuyer who has less than a 10% down payment. The decision to increase premium rates was made so that CMHC could meet its target capital requirements, and it is not expected to have an impact on the housing market. As you may or may not know, Government of Canada bond yields went up by close to 40 basis points last month. And Doug Porter, Chief Economist with Bank of Montreal, expects yields to rise further over the next year. Since mortgage rates track bonds, some people believe that an increase in rates is just around the corner – but don’t panic! It shouldn’t break the bank. A 15-basis-point increase, as an example, only adds up to an extra $8/month and $700 of interest per $100,000 of debt based on a 5-year term. Still, if you’re worried about what an interest rate hike could mean for your future mortgage payment, there’s no harm in getting pre-approved for a mortgage and locking in a rate now. Many lenders will let you lock-in rates for 90 days, and you can negotiate if rates end up going down during now and the time you buy. In a telecommunications first, a few weeks ago, CIBC and TELUS announced the launch of their new CIBC TELUS Rewards Visa card – a co-branded credit card that will offer TELUS loyalty rewards to cardholders who swipe for their everyday expenses. From what we’ve read, it looks like users will earn 1 point per $1 spent on the card, 1.5 points per $1 spent at gas and grocery retailers and 1.5 points on TELUS purchases (including recurring bill payments). Points can be redeemed for a selection of TELUS products and services, to make charitable donations, or to purchase travel passes or TELUS prepaid cards – and it’s going to have no ($0) annual fee! Still, is it worth signing up for? If you’re a loyal TELUS customer, maybe. But you could earn a much better return on other rewards credit cards in Canada. After the public outcry that ensued from RBC’s announcement to increase account fees, the bank has decided not to go through with any of the proposed changes that would have potentially charged consumers for paying credit card bills and their mortgages. All the big banks have raised their fees this year, which made people’s heads spin enough, especially after discovering that they also profited $31.7 billion in 2014. Customers and reporters came after RBC hard though, after discovering that, under their proposed changes, certain payments would be counted in the number of transactions they could do each month – which essentially means they would’ve been charging customers for paying their bills. “We are listening to our clients and will not include transactions like mortgage and loan payments as debit transactions,” RBC said in a statement last week. And with that news, RBC customers rejoiced. That’s all for this month! For more personal finance stories + fun facts, you can find us on Facebook, Twitter and Google+. 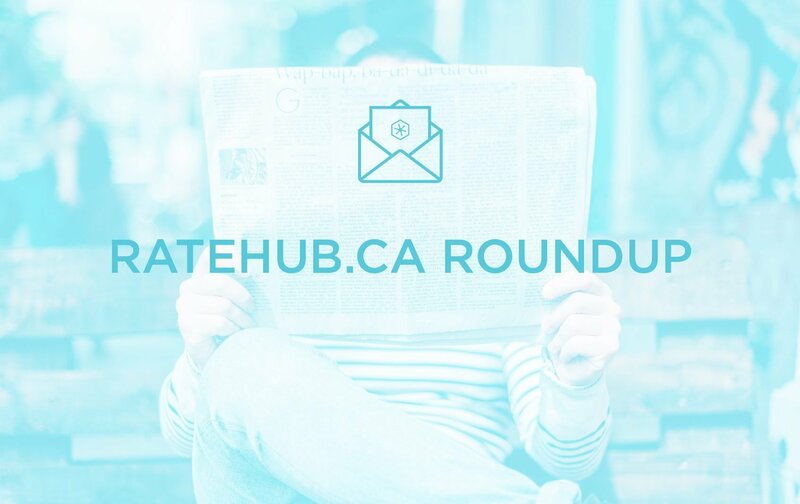 A phantom credit card, two back-to-back bank hacks, and postal code discrimination: Here are some personal finance headlines you might have missed last month.